Jill McKay is a professional artist, qualified Tutor and Art Tutor Assessor who teaches at her own adult Art Academy, the Art Trail Centre in Ferndown, situated in the beautiful county of Dorset. Jill comes from an artistic background, nearly all her immediate and historic family being artists or musicians. This instilled artistic flare becomes very apparent during her lessons which 'fires up' students in their confidence and development. Her special background enables students to produce their best at all times. 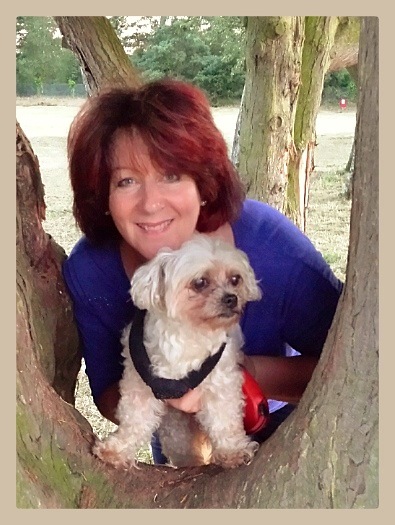 Together with her education at Southampton University , her successful career in the Corporate arena for Management and Personal development, Jill provides high quality art tuition backed up by a wealth of teaching experience spanning many years. She is recognised for her very professional but relaxed style and the high achievements of her students. Often loose, impressionistic but distinctly recognisable. Jill's variety and painting style conforms to no other - she produces work in a variety of styles to order. Tuition is a mixture of step–by–step demonstrations and logically produced tutorials, with plenty of hands-on advice and individual support. Classes and workshops are often supported with video and internet aides to re enforce the lessons. Media used includes Watercolour, Pastels, Acrylic, Oils, Gouache, Oriental Brush Painting, Pen & Wash, drawing in any medium and a mixture of all the above. She also teaches for the National Trust, local Adult Education Authorities, Denman College in Oxford and is a Travelling Tutor for the Women’s Institute. Jill is regularly invited to Art Societies and other Art Groups around England and the rest of the United Kingdom. Jill McKay is regularly booked for interactive demonstrations and workshops in Watercolour, Acrylics, Pastels, Gouache, Chinese Brush Painting, Painting Clinics, Critiques and the Judging of Exhibitions. Jill regularly has work on exhibition, at prestigious places such as Luton Hoo Stately Home, Bournemouth International Centre, and also locally in Hants & Dorset areas of Bournemouth, Poole, Wimborne, Ringwood, Ferndown, Salisbury and Southampton. Her last European exhibition being in France. Visitors can view or purchase her existing work at her Gallery. A summer collection of framed work was displayed at the Royal National Lifeboat Institute - Lifeboat College (R.N.L.I) in Poole which was officially visited by the Princess Royal her Royal Highness Princess Anne. All work can also be ordered in the form of prints or on canvas in various sizes. When not exhibiting Jill's work can be seen at the Art Trail Centre in Ferndown Dorset. An extremely popular demonstrator, Jill provides interactive demonstrations for many Art Societies & Groups, at her Gallery in Ferndown and at Charity or Corporate events where ‘something different’ is required. She has demonstrated for Winsor & Newton, Pebeo Paints and Daler Rowney at various Hobbycraft stores. Click on to Demonstrations in the above navigation for her future demonstration dates and locations in the coming year. "You were able to develop the good points as well as the weaknesses" "Your enthusiasm was infectious" "I have never enjoyed art classes so much" "Brilliant, I cannot believe I have just painted that when I have never painted before"
"Refreshing, I learned new tips that no other classes have touched upon" " As a professional designer I fine Jill's classes so relaxing and fun, I am learning so much"
Various Art Groups and Societies regularly invite Jill to provide interactive demonstrations, watercolour clinics and Critiques. Jill is available for Annual Exhibition judging. She has demonstrated for Daler Rowney, Winsor & Newton, Pebeo Paints, the Bournemouth International Centre and Hobbycraft at Longham on various dates during the year. Interested parties can call 01202 877369 to discuss any of the above details.